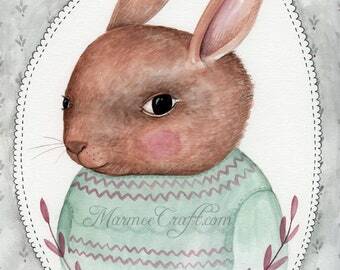 MarmeeCraft art print, "Green Summer Rabbit, White"
Original painting Easter Bunny Egg painting, "Easter Rabbit, Grey"
MarmeeCraft art print, "Green Summer Rabbit, Grey"
Announcement ♥ Welcome to my little shop & Thanks so much for dropping by! 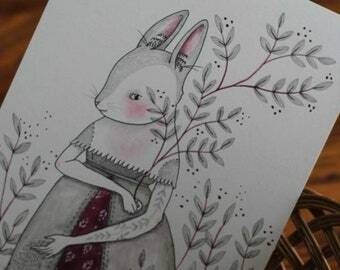 ♥ Please feel free to contact me with questions, illustration/commissions or if there is a print you are looking for that you don't see listed in my shop. All orders within the US ship Priority Mail. 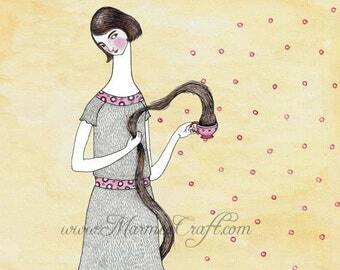 ♥ Welcome to my little shop & Thanks so much for dropping by! 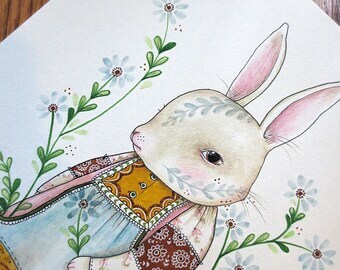 Original Watercolour girl painting, "Folk Tooth"
MarmeeCraft bear art print, "Dear Heart"
MarmeeCraft garden art print, "Greenhouse"
MarmeeCraft bird art print, "The Blue Jay"
MarmeeCraft folk owl art print, "Wingspun Merrily"
MarmeeCraft flower girls art print, "Indienne"
MarmeeCraft art print, "When She Was a Bear"
MarmeeCraft art print, "Sweater Bear"
MarmeeCraft circus art print, "The Little Carnival Girl"
MarmeeCraft art print, "Tea Monster"
MarmeeCraft art print, "Marla's New Wallpaper"
MarmeeCraft art print- "Once Upon a Tea Time"
MarmeeCraft art print, "Banjo and Birdling"
MarmeeCraft rabbit art print, "Bunny Cabinet Portrait"
MarmeeCraft art print, "The Bunting"
MarmeeCraft bunny art print, "R is for Rabbit"
MarmeeCraft folk hand art print "Ghost Flower"
MarmeeCraft art print, "Nature Spirit"
MarmeeCraft art print, "Flower Faerie in Green"
MarmeeCraft art print, "Fabled Deer"
MarmeeCraft mouse art print, "Raspberry Season"
MarmeeCraft girl with bird art print, "Agnes and Pip"
MarmeeCraft art print, "Mr. Skunk Homebody"
MarmeeCraft bear art print, "Our Woodland Sentry, Roscoe"
MarmeeCraft collage art print, "The Bird Watcher's Garland"
MarmeeCraft art print, "Of My Own Imaginings"
MarmeeCraft butterfly art print, "In Her Solitude"
MarmeeCraft Victorian art print, "Bird's Nest"
MarmeeCraft art print, "Last Snow This Year"
MarmeeCraft Victorian art print, "Adelaide's New Bonnet"
MarmeeCraft green woodland sprite art print, "Ophelia Bloom"
Thanks! It arrived. My friend is waiting to open it. Original acyrlic painting, "The Faded Calico Ball"
Love, love, love this artist's work! Fast shipping/well-packaged! 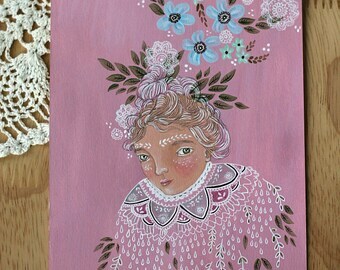 Highly recommend this talented artist and etsy seller!! 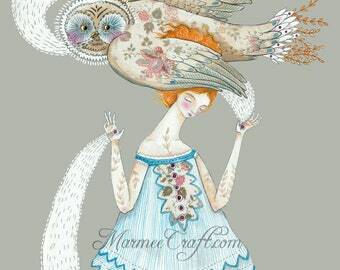 MarmeeCraft art print, "A Summerling Cat, Miss Tabby"
MarmeeCraft art print, "A Summerling Cat, Miss Tuxedo"
'MarmeeCraft' is my own little drawn, painted, stitched, sculpted, be-ribboned and imagined world. 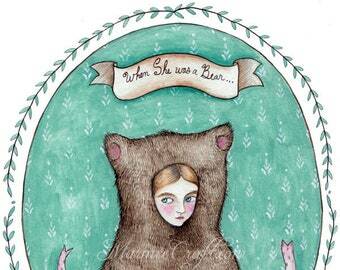 I am a wife and mama working on my art and illustration from our wee mountain-forest home. 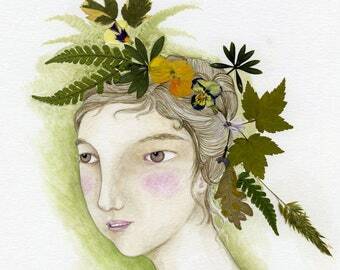 My shop is host to drawings, paintings, prints, dolls and other curious whimsy...dreamt up during woodland wanderings and brought in baskets to share with you. ♥ Hello there! Thanks so much for visiting! If you have any questions about ordering, and order you placed, or about my work please feel free to contact me. Prints are created with a Canon printer on Epson matte art paper using archival ChromaLife 100 inks, and ship in a protective, sealed cellophane sleeve with a stiff backing board in a bend-proof, cardboard mailer. Orders of multiple prints are packaged safely together in one cellophane sleeve, with one backing board (separated by protective sheets). If you would like individually packaged prints please let me know (*note this may increase shipping costs). Please let me know if you have any questions or concerns about your order and I'll do my very best to help resolve any issues promptly. I accept payment through PayPal as well as payment through Etsy Direct Checkout. Orders placed from within the US ship USPS Priority mail with delivery confirmation (please see listings for shipping specifics on each item). US orders usually ship the day after your payment is received. International Print orders ship International First Class mail with customs forms. International orders of originals ship International Priority Mail with customs forms (unless otherwise noted in the individual listing). Any customs fees or duties are the responsibility of the customer. I usually mail all International orders within 3 days of your purchase. Please allow at least 4-6 weeks for delivery of your First Class International package (prints). Priority International packages (originals) are usually delivered in 6-10 business days. Transit times vary greatly by country, If you have not received your order in this time please contact me. 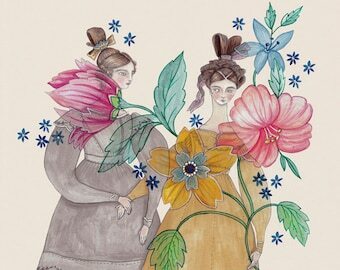 All artwork and descriptions are copyright © M. Liucci. Sale of original artwork and/or prints does not transfer copyright or allow reproduction/distribution rights.